Did you miss our event on April 18 about 'Is performance management still relevant today?' - For you, we offer this podcast recorded during the evening. For a more complete experience we strongly recommend you to join us at our next evenings!Good listening and thx to all who particpated! 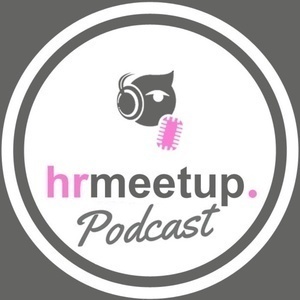 - Read more: http://www.hrmeetup.org/thepodcastfactory-hrmeetup-evening-18042016-is-performance-management-still-relevant-today-eng - Website: http://www.hrmeetup.org - You can support our project by a "Like" of our Facebook page (www.facebook.com/hrmeetup), or in following us via Linkedin (https://www.linkedin.com/company/2731745?trk=tyah&trkInfo=tas%3AHRmeet%2Cidx%3A1-2-2), Twitter, Soundcloud, Google+, Pinterest...Thx a lot! - Sponsor HRmeetup: "transforma bxl", "Hôtel Le Plaza Bruxelles", "Talentsquare".